It's almost September 1, y'all! 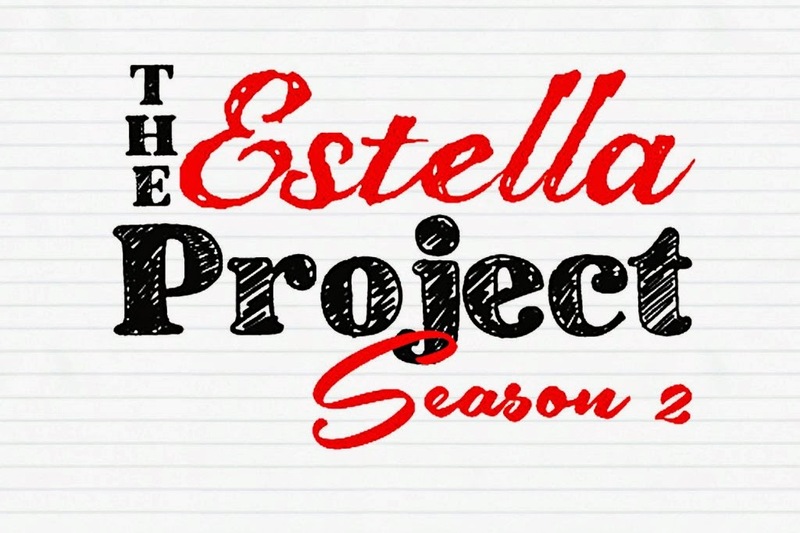 That means #EstellaProject Season 2 is winding down. I managed to read two books toward my goal of three: East of Eden and Tell the Wolves I'm Home. I loved EoE, and I really liked Tell the Wolves, so I consider this round of the Project a smashing success. Don't forget to link up your reviews for a chance to win a bookish gift card! As the title of this post says, when one reading event closes, another one opens! The Estella Society and Amanda from Fig and Thistle are gearing up for a RIP IX readalong! 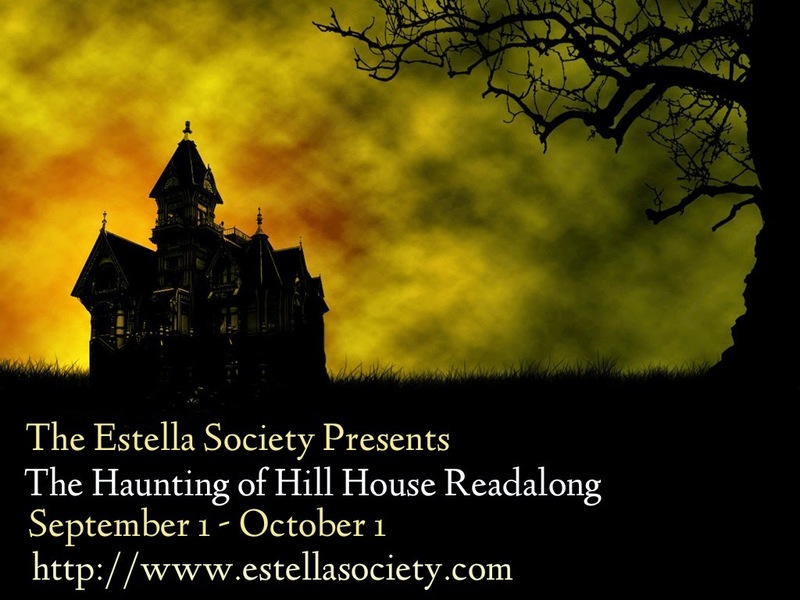 This year we're tackling Shirley Jackson's classic haunted house story, The Haunting of Hill House! We opened the sign-ups a little early, so click above to go on over and do that. We'll discuss the book over at The Estella Society on October 1. We'll have some questions available for discussion, or you're welcome to link up your own blog post. And if you feel like shouting from the rooftops on Twitter, you can use the #RIPIX hashtag! We'd love it if you helped spread the word! What events do you have coming up this fall? 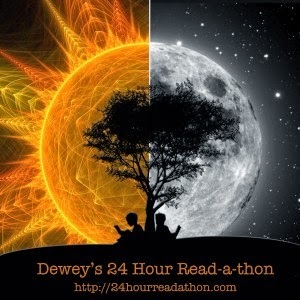 Of course, we also hope you'll join us for the Dewey's 24 Hour Read-a-Thon on October 18! I'm building my TBR pile for Dewey's! Yahhhh! I love this time of year so much. High five! You already know that I'm in for the readalong! Now, I just need to see if I can pull off the readathon! I love the Dewey's readathon so much, but I have a music thing that day. Maybe I'll just read as much as I can, even though it won't be 24 hours. Dangit! I definitely say read what ya can. It's all fair game! Wow. Lots of exciting things going on. How is it that it's RIP time already?? As for the readathon, I hope to join in! It's always tricky with two littles running around, but I'm gonna try to make time. Crap! I read all three of my books...but I still need to post about two of them!! Congratulations on completing your project. Two books out of three is a good accomplishment. I'm taking part in R.I.P, can't wait to start reading, and if I find Shirley Jackson's book tomorrow I can join the read-along. Hill House has been on my TBR list for a while, so I'll definitely join in. Plus East of Eden was awesome even if I didn't post much. I think I will participate in the readathon again! As for the readalong... I don't have the book, but I just spend the last 30 minutes watching clips of the movie (The Haunting) and I'm curious about the story, even though I'm scared as hell. Will see about the readalong! The Haunting of Hill House is SOOO good! I won't sign up to reread it, as there are others on my list I want to read for the first time, but I almost envy you the first time round. And of course it will be fun to read the comments. Also, thanks for the heads up about the read-a-thon on October 18!